After many years working as a global business and public policy advisor and consultant to international companies, Keith Philip Lepor decided to pursue his first passion, photography. He holds an M.Litt. in International Relations/political economy - (Comparative East Asian Economic Development Strategies) from St. Antony's College, Oxford University, and an M.A. in Middle Eastern Studies from the American University in Cairo. He has written numerous columns (Beirut Times of Lebanon and AsiaWise of Hong Kong) and articles on the Middle East, Central Asia and the Far East. He has also worked as Senior Editor for Middle East Insight. His book, with a Foreword by Mikhail Gorbachev, After the Cold War (University of Texas Press, 1997) helped articulate debate on the future of US Foreign Policy during the 2000 Presidential race. Mr. Lepor has traveled and worked throughout Europe, the Middle East, Africa, Far East, South and Southeast Asia where he has also conducted political research & analysis. Research interests include Asian strategic relations, Central Asian energy politics, Middle East politics and international terrorism. 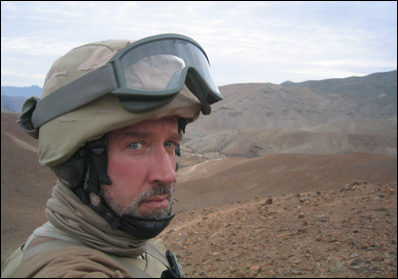 His current photojournalism specialty is combat, guerilla warfare and counter insurgency. Lepor is currently a US member of the Council for Security Cooperation in the Asia Pacific (USCSCAP), the Asia Society (New York), Gulf/2000 Project at Columbia University and the Middle East Institute in Washington, D.C.
His unique international background and experience has transformed Mr. Lepor into a highly seasoned political analyst as well as an astute photographer and positioned him to function as a global freelance photographer and photojournalist. Global clients include CNN International, International Security Assistance Force (ISAF), Government of Switzerland (SDC), United Nation's Department of Peace Keeping Operations, MONUC (UN Mission in the Democratic Republic of Congo), UNICEF, UN Office for the Coordination of Humanitarian Affairs, UN Works Programme, The Global Fund for AIDS, Tuberculosis and Malaria, World Health Organization (WHO), Medecins Sans Frontieres Switzerland and War Child Netherlands. Keith Lepor's first assignment in Afghanistan consisted of a twelve month tour of duty with the International Security Assistance Force (ISAF/NATO) where he worked as both a combat photojournalist and Forward Media Team Leader - running a team of Afghan print and radio journalists in Regional Command East. He also embedded extensively with the Army 82nd and 101st Airborne as well as the Third Marine Regiment, Third Marine Division; French, British and Afghan Forces. Keith has taken a leave of absence from his work as a photojournalist and decided to focus his attention on a major political undertaking. On February 8th, 2010 he launched a campaign for U.S. Congress in the 9th Congressional District of Massachusetts. He would like to encourage all those interested in learning more to visit his campaign website Keith Lepor for Congress and join his Face Book fan page (Keith Lepor for Congress). copyright © 2005 by Keith Philip Lepor. All rights reserved.